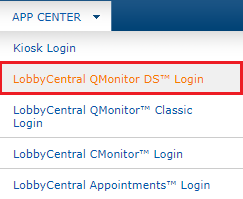 Go to the main LobbyCentral login page at https://portal.lobbycentral.com. 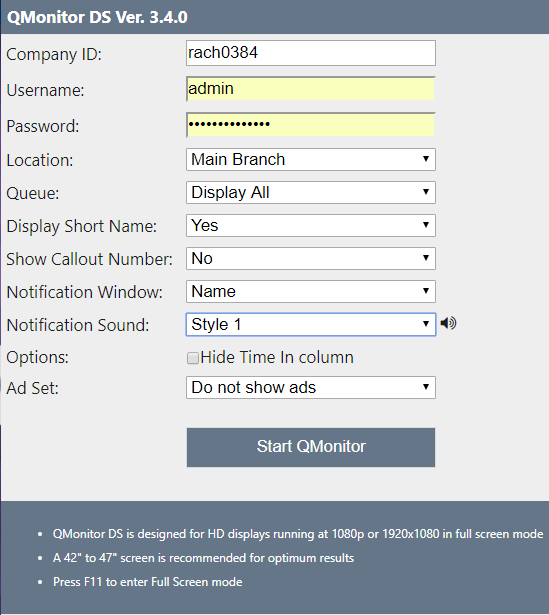 Click App Menu and select QMonitor DS Login. Enter your company ID, username, and password.